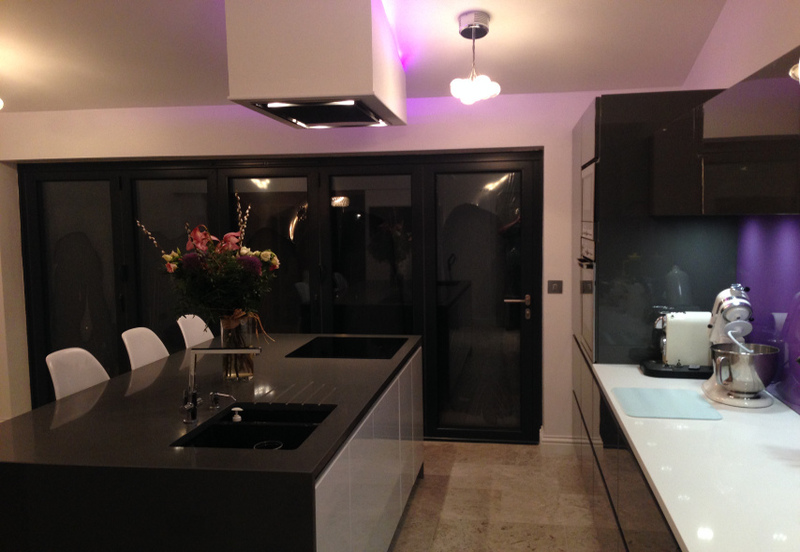 Thank you to Louise Draper for sending us these photos of your completed kitchen. 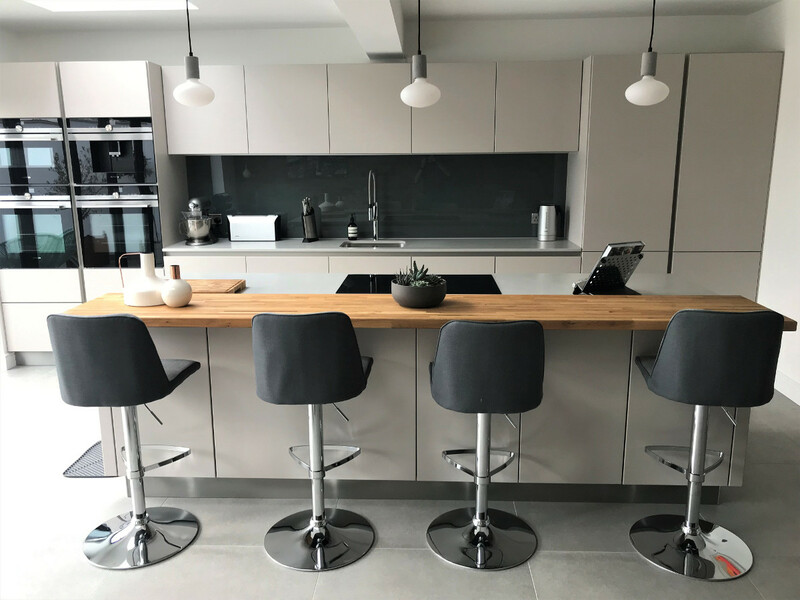 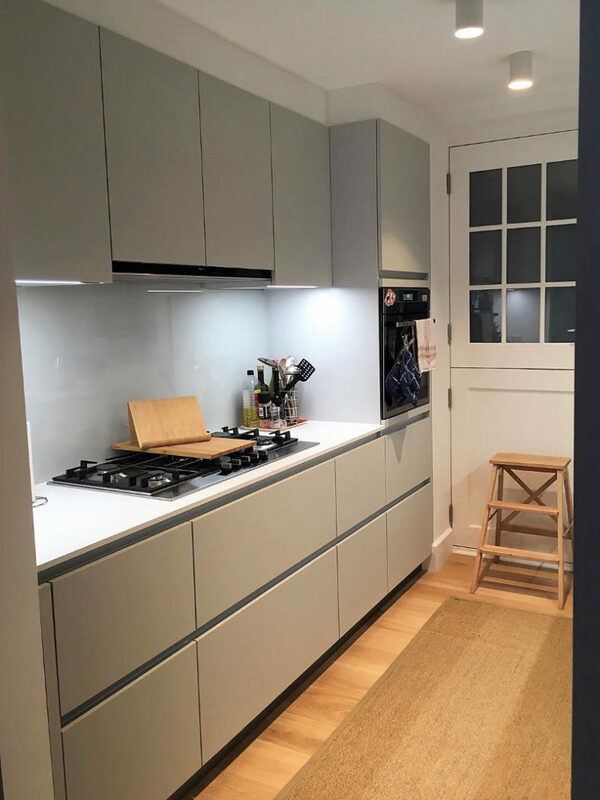 The units are Anthracite high gloss lacquer with Absolute blanc Quartz worktops on the tall unit run with Crystal white high gloss lacquer used for the island. 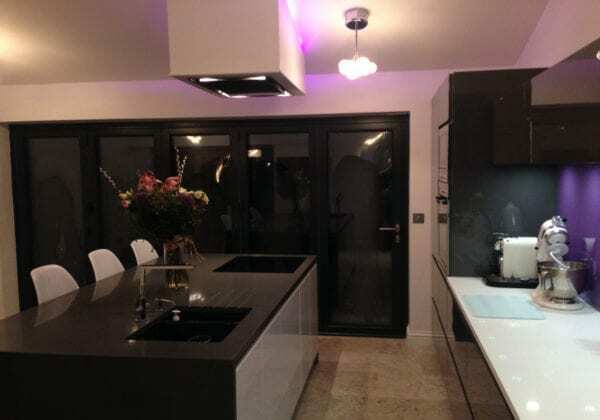 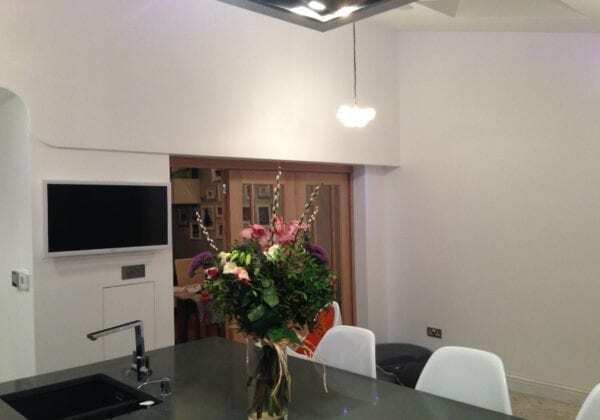 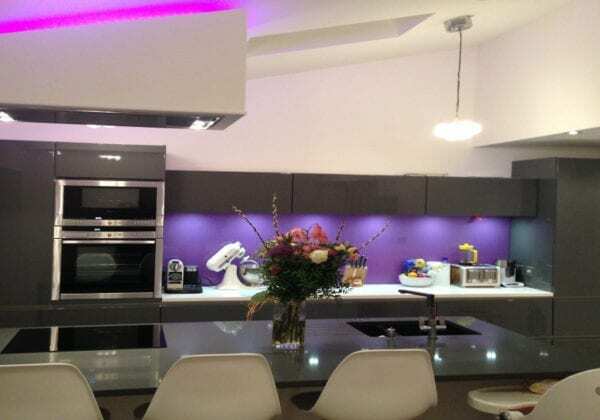 We especially like your suspended extractor with pink LED lighting, very colourful!